The night before the ill-fated launch of the Challenger spaceship in January 1986, project engineer Bob Ebeling and four colleagues pleaded with NASA and other higher ups to delay the mission. The reason? They believed that with the cold weather facing the launch, the Challenger was likely to blow up because its rubber seals wouldn’t hold up under lower temperatures. Tragically, their concerns went unheeded, and seven brave astronauts died while their family members, friends, colleagues, and a national audience watched the horror unfold. It breaks my heart that Ebeling blames himself for what happened, when he and his colleagues had the courage to speak up despite all the public anticipation of this launch. This also serves as a terrible reminder of what can happen when high-level managers and executives disregard the urgent concerns of knowledgeable subordinates. In this case, lives were at stake. Had NASA officials listened to the five engineers, those astronauts would not have perished on that day. There are plenty of factors that go into what makes a good workplace, but I’d like to zero in on one measure: Do employees have reason to fear retaliation if they report alleged wrongdoings, such as discrimination and sexual harassment, bullying, unsafe working conditions, or ethical transgressions, or if they engage in legally protected activities such as union organizing? The answer to this question speaks volumes about an organization’s integrity and decency. It all boils down pretty clearly: The good organizations don’t retaliate against individuals for engaging in legally protected conduct or for reporting potentially illegal or wrongful behaviors. The bad ones do. Retaliating against the employee’s compatriots or friends. Most protective employment statutes, such as discrimination laws, collective bargaining laws, and health & safety laws, have anti-retaliation provisions designed to protect those who report alleged violations and who cooperate with related investigations and legal proceedings. But prevailing on such claims is not easy, and the nastier the employer, the more likely it is to have raised hiding its motives to an art form. A lot of retaliation takes the form of workplace bullying. However, establishing motive and causation under anti-retaliation provisions of various laws can be a challenge. It’s among the reasons why we need standalone legal protections against workplace bullying. Freedom from fear is an important element of dignity at work. Praise be to organizations that truly practice this value. The article in the screenshot above is just one of an endless number of pieces online about fear of retaliation for whistleblowing and asserting one’s legal rights. Being able to adapt, change, and sometimes go with the flow can be a good trait to possess. After all, change is the only constant, right? Even Charles Darwin would tell us that species either adapt to the demands of their environments or disappear. And so it goes at work, too. If we want to be good at our jobs, we must be able to deal with change. That includes dealing with a new boss or supervisor. But what about that species of co-worker who is so able to turn her colors that she cannot be trusted? You know, the one who is so committed to surviving or getting ahead that she becomes a workplace chameleon, able to change hues in an instant. I searched the term and didn’t find much out there. I did pull a 2001 CNN piece by Amy Erickson that referred to “(t)hose slippery workplace chameleons who seem to change and adapt their behavior for each boss, manager or situation.” The article cited to a study claiming that workplace chameleons don’t get ahead as often as we might think. Regardless of whether they get ahead or simply stay around, workplace chameleons can do a lot of damage to others. Above all, they are in it solely for themselves. Many a workplace chameleon can morph into someone truly dangerous. Taking orders from above or cues from co-workers, this creature may engage in destructive and hurtful behaviors. When acting at the behest of a toxic or bullying boss, the chameleon may claim that he is only “following orders.” However, he also may internalize some of that malicious energy and act accordingly. If new management arrives with (hopefully) a better set of ethics and morals, the chameleon may revert back to being a decent human being, especially if there’s something in it for him. It’s not easy to spot a workplace chameleon, but once you see him change colors in ways that hurt others, you won’t forget him. Hopefully you will have kept a sufficient distance so as not to have been directly impacted by that transformation. 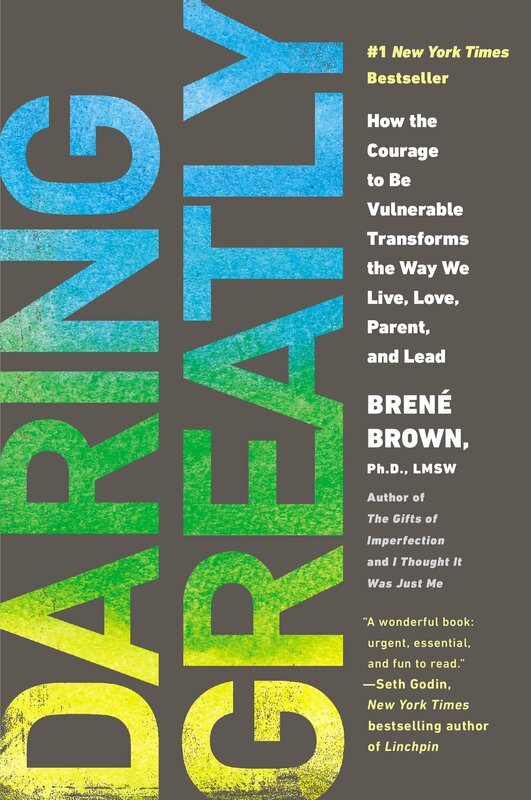 Two words from the quoted passage inspired the title of Brené Brown‘s Daring Greatly (2012). As I wrote previously, I’m taking Dr. Brown’s online course, the “Living Brave Semester,” which includes plenty of lessons from that book. She builds much of the course’s early foundation around that passage. However, Brown’s conceptualization of daring greatly draws us away from the kind of boyish, chest-thumping image that characterized Teddy Roosevelt’s public persona. Rather, she associates vulnerability with daring greatly. According to Brown, only by being vulnerable to setback, rejection, disappointment, and failure can we reach these higher places in our work lives, personal lives, and other endeavors. Brené Brown’s lessons are resonating with me personally and professionally. In terms of my work, they relate directly to efforts to mainstream human dignity as our core societal value, to promote therapeutic jurisprudence as a primary vehicle for understanding and reforming the law, and to make human dignity the framing concept for workplace law and policy. I believe that in order to advance these interrelated spheres, we must dare greatly — or, to put it in more contemporary, pop culture terms, go big or go home. It means taking the risks of getting knocked down a bit . . . or perhaps a lot. For example, it’s no fun, as Brown notes, to see one’s work being mocked, twisted, or unfairly criticized online. Calls for more dignity in society are not likely to be greeted with open arms within many circles of our world today; some may even make fun of them. But such responses only underscore the need for change. Even if the world that we want to see is unlikely to become a reality during our lifetimes (regardless of our respective ages), we can be part of what moves things in the right direction. Do we fall for self-promoting masters of workplace manipulation from the get go, maybe even at the interview stages when they wow people in the room? Ah, but here’s the rub as I see it. The “leaks” often don’t reveal themselves at first, at least when we’re dealing with masters of manipulation. Whether they are simply smooth operators or lean in the direction of clinically diagnosable conditions such as narcissism or sociopathy, they are very, very practiced at making positive first impressions. It’s often not until later when you discover that they’re worthy of neither trust nor respect. Presence is being touted as a coaching manual of sorts for folks who want to get ahead, and that’s perfectly understandable. After all, only the rare (and very odd) person doesn’t want to make a good first impression. But Dr. Cuddy’s research findings also help to illuminate how smart, manipulative, possibly toxic people present so well in interviews and continue to make strong first impressions after they show up. They immediately begin to position themselves and build street cred. Again, we all want to get off to a good start in a new job. In no way am I suggesting that coming in with a winning attitude is a bad thing! But the master manipulators are often less than meets the eye and more about feathering their own nest. The nasty ones will find ways to roll over others in their way, often in a stealthy manner. It’s not surprising that when bullying-type behaviors are involved, they are often of the covert, behind-the-back variety. The folks who see through this veneer may find it impossible to effectively sound the alarm, because it’s already too late. If you’re putting down a shining new star, it must be because you’re resentful, right? How many times are these scheming newcomers given the keys to the kingdom, practically before they’ve finishing picking their 401(k) and health plan options? Based on my admittedly anecdotal assessments, the manipulators seldom pay a big price for their self-interested maneuvering. Many times they depart before it catches up with them, moving up the ladder as others continue to fall for their game. Sigh. Kiss up kick down (or kiss up, kick down) is a neologism used to describe the situation where middle level employees in an organization are polite and flattering to superiors but abusive to subordinates. It is believed to have originated in the US, with the first documented use having occurred in 1993. The workplace bully is often expert at knowing how to work the system. They can spout all the current management buzzwords about supportive management but basically use it as a cover. By keeping their abusive behavior hidden, any charges made by individuals about his or her bullying will always come down to your word against the bully’s. They may have a kiss up kick down personality, wherein they are always highly cooperative, respectful, and caring when talking to upper management but the opposite when it comes to their relationship with those whom they supervise. Bullies tend to ingratiate themselves to their bosses while intimidating subordinates. The bully may be socially popular with others in management, including those who will determine the bully’s fate. Often, a workplace bully will have mastered kiss up kick down tactics that hide their abusive side from superiors who review their performance. Wikipedia, as you probably know, is a public, anonymously written and edited encyclopedia, so I don’t know who contributed to this entry. But I’d say the authors did a fine job of describing the dynamic. I omitted citations in quoting from the Wikipedia entry. However, I was flattered to see one of my articles, David C. Yamada, “Workplace Bullying and Ethical Leadership,” Journal of Values-Based Leadership (2008), cited as one of the sources. Does higher education have a heart? Does higher education have a heart? I have found that in too many instances, heart quality in academe is a rare commodity. This is not to say that all colleges and universities are mean, heartless places. Some are quite to the contrary. Nevertheless, academic culture can be competitive and coldly analytical, and the influx of let’s-run-this-like-a-business administrators and board members has sucked even more humanity out of the enterprise. In its worst manifestations, academe can be host to a lot of bullying and mobbing behaviors. To be honest, I think emotional accessibility is a shame trigger for researchers and academics. Very early in our training, we are taught that a cool distance and inaccessibility contribute to prestige, and that if you’re too relatable, your credentials come into question. While being called pedantic is an insult in most settings, in the ivory tower we’re taught to wear the pedantic label like a suit of armor. I am grateful for an academic career. I enjoy and value teaching, scholarship, and service, the three major components of a professor’s work. I’m also appreciative that among law professors, those who teach in the labor & employment field tend to be much more down to earth than many of those in other specialties. However, conventional academic culture is not a big draw for me, for reasons alluded to above. Rather, my favored networks, and friendships formed through them, are grounded in somewhat less traditional institutions, associations, and gatherings that include faculty, practitioners, and activists from many fields. As I wrote last Sunday, I’ve enrolled in Dr. Brown’s online course, the “Living Brave Semester,” which draws upon her pioneering work on courage, vulnerability, and resilience. It’s a good sign that I’m in the right virtual place when the initial reading assignment led me to the passage quoted above.